We Stand Behind our Puppies! We stand behind our puppies with a two-year genetic health guarantee. 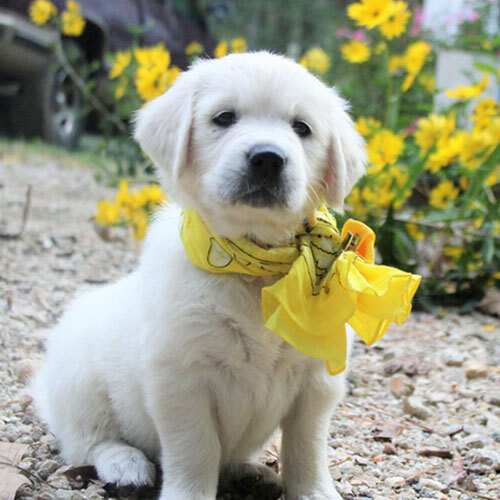 All puppies sold by Golden Miracles are in the best possible health to the best of our ability and knowledge. While our puppies are in our care, we feed them well and give them the best care possible to grow into strong and healthy pets for years to come. Each puppy is checked by a licensed veterinarian, who determines that the puppies are ready to go live with their new owners. Shot and Deworming records are given to our buyers at the time of pick-up or shipped with the puppy. We guarantee our puppies until two years of age against any hereditary defects of the hips, elbows, eyes and/or heart. If your puppy is diagnosed by a board certified specialist as being affected within two years for hips or one year for eyes, heart, and/or elbows, we will take the puppy back and, at our discretion, either replace it with a puppy from a similar litter or return your purchase price. We cannot guarantee our puppies against illness or opportunistic parasites brought on by stress such as moving (from our house to yours) or shipping. We also can't guarantee that our puppies will be "worm-free", as this is an ongoing process. However, these are easily and economically treated and should be discussed with your veterinarian at your first visit. We are not responsible if a puppy contracts a communicable disease or infection after leaving our possession. Also, this Health Guarantee does not include improper bites, hernias, any illness due to the ingestion of foreign objects, food, chemicals or physical injury. Our puppies are generally very easy to care for. Here are a few pointers that we think are important reminders of how to care for your new puppy, and are prerequisite for the health guarantee to be valid. Your puppy needs to be examined by a licensed veterinarian within 3 days after going home. Find a vet that you feel comfortable with, and keep regular appointments so your vet gets to know your puppy. 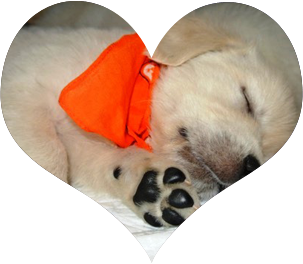 Keep your puppy up to date on shots, worming and other preventative protocol. Feed your puppy a good, well-rounded diet. Do not underfeed or overfeed your puppy. In general, follow the recommended feeding guidelines found on the bag. Avoid exposing your puppy to physically stressful situations, such as frequent stair climbing or standing on concrete for long periods of time during his formative years. Provide adequate shelter and shade, and make sure there is always fresh clean water available. Make sure your puppy has plenty of exercise on a regular basis, and whenever possible. Don't overdo it in the first few months. Puppies need lots of rest too. Keep your puppy groomed to avoid matts, itching or scaling skin, and other health problems. We recommend grooming at least every 2-3 months. Enroll your puppy in a good puppy training class. Petco and Petsmart, along with many local and regional classes are great starters for both you and your puppy.